Patient portals deliver convenience, efficiency, and engagement. From banking and stock trades to tax filings and driver’s license renewals, today’s consumers expect the organizations they frequent to provide the convenience of online access to a wide range of self-management tools—and healthcare consumers are no exception. In fact, consumer demand for patient portals is already overwhelming and will only grow stronger over time, according to a recent survey by Intuit Health, which found that seven of 10 Americans would utilize secure online communications with their providers. In terms of the types of online communications, respondents indicated they would schedule appointments (81%), request prescription refills (68%), access lab results (62%), fill out medical forms (59%), pay medical bills (53%), and ask care-related and administrative questions (51%). Seventy-eight percent of survey respondents indicated they would use a secure online tool that provides access to their medical history and allows them to share that data with their physicians. Younger patients were more likely to switch: 59% of those who identified themselves as Gen Y (born between 1980 and 1992) and Gen X (born between 1965 and 1979) compared with 29% of baby boomers (born 1946 to 1964). This creates “an opportunity to attract these patients and start a relationship that could last a lifetime simply by offering them the tools they want to use,” says Malik. The demand for patient portals can also be segmented by type of health consumer. Specifically, demand is higher among individuals with chronic conditions who are “hungry for information that could be accessed through portals,” says Michael Solomon, PhD, MBA, practice lead of e-care management with Point-of-Care Partners. That is because health information accessed through patient portals comes from a trusted source, unlike some information available on the Internet. Portals also have the potential to streamline hospitals’ self-management support services and provide patients with information that is more suited to their specific needs. Consumers are increasingly demanding self-service tools that “make conducting business with a hospital more convenient,” in addition to tailored information from a trusted source. Solomon says. Hospitals that invest in meeting consumers’ growing expectations benefit from more than just increased patient satisfaction: Robust patient portals have the potential to improve outcomes by engaging patients in their healthcare and improving compliance with care guidelines. Solomon points to research that shows patients who are more knowledgeable about their health conditions develop the skills necessary to better manage them on a day-to-day basis. They become more confident in their ability to make the right choices regarding their health, increasing adherence to therapy regimens. On the administrative side, patient portals drive improved efficiencies and reduced costs. They also enhance patient communications and improve record-keeping and audit trails. Finally, portals allow hospitals to extend their brand in the communities they serve. For hospitals that have made the decision to enter the patient portal fray, innovations in technology have given them options they didn’t have previously. For example, many EHR systems offer portal modules that allow facilities to take a single-solution approach, as is the case at Loyola University Health System. In other cases, a best-of-breed approach using a third-party, vendor-neutral solution is better suited to a facility’s environment, which is the case at Baptist Health. These technical advances allow hospitals to spend their time and resources on the challenges that have the most impact on physician adoption. Based in the Chicago suburb of Maywood, Ill., Loyola University Health System is a more-than-800-bed institution that includes Loyola University Medical Center Campus and the Gottlieb Hospital campus in Melrose Park, Loyola University Chicago Stritch School of Medicine, Loyola University Chicago Marcella Niehoff School of Nursing, and 22 primary and specialty care centers. In December 2010, the health system completed its launch of myLoyola Select. Based on Epic’s MyChart, the health system’s inpatient EHR, myLoyola Select was activated first for primary care physicians and then rolled out to specialists. The intent was to address patient demands for online access to their health information and physicians and increase patient engagement. Among the portal’s most popular patient features are the tools to schedule appointments with primary care physicians, which also provide access to postvisit instructions, and access to medication, allergy, and immunization records. Also popular is the preventive care module, which is based on National Committee for Quality Assurance protocols and delivers reminders and alerts when patients are due for screenings, immunizations, etc. It is that kind of approach—one that balances patient demands with physician concerns—that has allowed Loyola to achieve 100% physician adoption of the portal and an average of 1,000 new patient registrations per month. The goal is 60,000 registered users. “It has been such a satisfier for our patients. Mostly, they want more. They want to be able to see images and x-rays online, which is coming,” Krumrey says. Initially, Loyola physicians were less enthusiastic. In fact, physician adoption was one of the biggest hurdles Loyola needed to overcome. It’s a problem most facilities need to solve when implementing a portal. Particularly worrisome for Loyola physicians were reporting test results and secure messaging. Specifically, they were concerned about a patient’s reaction to a result that was flagged as outside normal ranges. And it has worked. Veselik says few of his patients have abused the e-mail privilege and fewer have panicked over test results. It has improved office workflows and cut down on phone calls by approximately 20%, easing the burden on front-desk staff. Secure messaging has given Veselik more control over his time while enabling rapid response to patient inquiries. Also, compliance rates for preventive screenings and immunizations have improved because patients can see when they are due and will often bring it up at their next visit. While Loyola’s goal is to provide patients with transparent information access, it does not mean unlimited access. For example, patients cannot view progress notes or problem lists, a concession to physician concerns over how those elements of the medical record might be interpreted by the patient. Thus far, myLoyola Select has met all the system’s expectations. In fact, it has been so successful that Loyola will continue expanding the portal’s features, including rolling out a PHR module later this year. “It absolutely is a market differentiator for us,” says Krumrey. Based in Jacksonville, Fla., Baptist Health consists of Baptist Medical Center South, Baptist Medical Center Downtown, Wolfson Children’s Hospital, Baptist Medical Center Nassau, Baptist Medical Center Beaches, and more than 40 primary care practices. The health system began developing its portal strategy three years ago as a way to address growing interest in healthcare consumerism. It recognized the need to integrate data systemwide and provide patients with self-management tools to drive accountability. Central to the strategy was a single portal that allowed patients to access information across the Baptist system. However, finding the appropriate mechanism was problematic since most vendors were focused on portals that linked to a specific system. Baptist began exploring opportunities to team with an IT firm to jointly develop the portal technology it needed to achieve its vision. Eventually, it aligned with Vitalz to deliver a secure provider-to-provider messaging platform to support Baptist’s joint venture partnership with Solantic walk-in urgent care centers, which launched in April 2010. Baptist and Vitalz worked together to design and deploy a robust patient portal that enables Baptist patients to store, access, and use their health information via a secure platform. 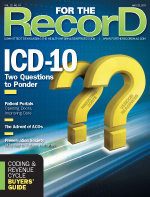 The ability to connect data from disparate systems was significant for Baptist, which had multiple EMRs and EHRs across its enterprise. It allowed the health system to bypass the proprietary restrictions of single-system solutions and provide patients with the ability to interact with every point in the Baptist system. Patient functionality was based on focus group findings that helped dictate the portal’s look and feel as well as its navigation method. Participants can schedule appointments, pay bills, receive lab results, request prescription refills, and track medical histories. Equally important was making sure physicians and other Baptist providers would derive value from the portal. That required ensuring concerns over HIPAA compliance were adequately addressed through appropriate security and a cautious deployment approach. Engaging physicians and patients in the portal design and overall strategy resulted in Baptist “developing an architecture that meets the needs of consumers and patients and also our provider network,” Garcia says. For example, providers can electronically refer patients and transmit relevant clinical data. The platform also allows for the electronic transmission of discharge summaries and follow-up instructions as well as other information needed at referral visits. Hospitals deploying patient portals are moving themselves ahead of the HIT curve. For example, Garcia notes that Baptist’s platform positions the health system to engage in patient-centered medical homes and accountable care organizations (ACOs). “The portal is intended to meet the needs of consumers and [for Baptist] to have one-on-one relationships with patients, providers, and business partners and to support initiatives with medical homes and, potentially, ACOs,” he says. This is where a vendor-neutral product could bring the most value, says Weathers, who notes that in ACOs and other similar initiatives, multiple providers using multiple systems will need to be able to exchange patient information to achieve the required cost savings and quality improvements. This is true whether the ACO operates under a fee-for-service or flat-fee model, although perhaps more so for the latter. “If they are going to take a flat fee, they need to have visibility to a patient’s longitudinal record,” Weathers says. Patient portals are also an important tool for achieving the various stages of meaningful use. For example, providing patients with problem lists is a stage 1 criterion. Loyola plans to make them available via its patient portal this summer, complete with a link to patient education materials. “This just makes [meaningful use] automatic and easier,” Krumrey says.